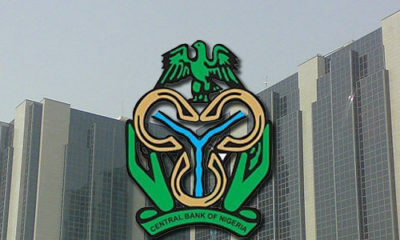 The Central Bank of Nigeria (CBN) has said that Nigeria averages about N1.5 billion worth of transactions on the Point Of Sales (POS) terminal daily. Dipo Fatokun, the Director, Banking and Payment System Department (BPSD), CBN, said this in Abuja on Wednesday at the apex bank’s e-Payment Incentive Scheme (EPIS) cash reward presentation. 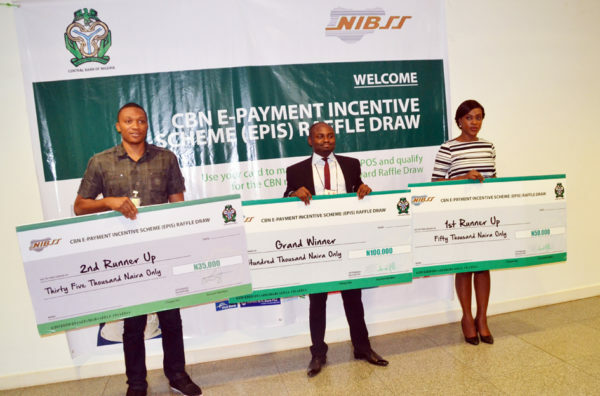 The incentive scheme is to reward users of electronic payment platforms in Nigeria and to further encourage greater patronage of government’s cashless policy by members of the public. The scheme is also aimed at promoting financial inclusion. Fatokun said that the use of POS terminals had increased from 5,000 in 2011 prior to the inauguration of the cashless policy, to about 120, 000 desktop terminals in 2015. He, however, said that the ratio was negligible compared to the population of Nigeria. “Some days we have it more than that and some days we have it lower than that; but on average its N1.5 billion transactions that are done on the Point Of Sales terminal alone for which this award is being given today. So the number is growing and in addition to the number of the POS, we should talk of the successful transactions also increasing. Fatokun said that CBN was on the verge of introducing the Mobile POS terminal that would thrive on network connectivity and make transactions easier for both card holders and merchants. He also said that discussions were on with telecommunication service providers to ensure better connectivity for the electronic payment systems. “The way the MPOS works is such that if the signal strength is not even as high as what you will need for the desktop POS. If the signal strength is enough for you to make a voice call, the transaction can still go through,” he said. Ade Shonubi, the CEO of Nigeria Inter-Bank Settlement System (NIBSS), said that the reward scheme was introduced to encourage people to use their cards at places other than the Automated Teller Machines (ATMs). “The scheme was put in place to encourage people to use their cards at merchants. People are more used to using their cards at ATMs and we need to encourage them to use it in places other than ATMs. There are two ways to drive it, either the merchants are tracked or the card users themselves want to use it. According to him, MPOS is a device that can be connected to a Smartphone and used on an existing network. Second runner up of the EPIS, Solomon Jephtah, a medical student, expressed gratitude for the cash award but said that he almost missed it because he initially thought it was fraudulent exercise. He advised other card holders to use the POS as it was a better way to make transactions. 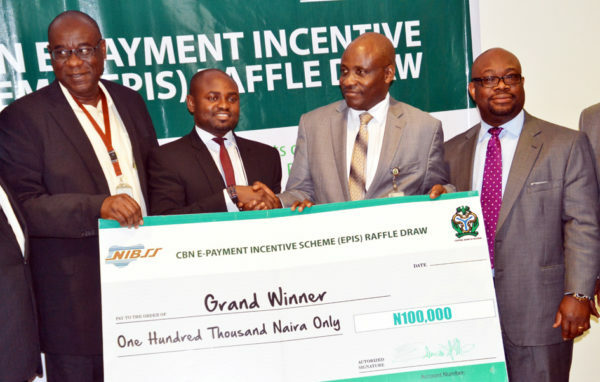 The News Agency of Nigeria (NAN) reports that the raffle draw is divided into three winning categories monthly with the cash prizes as: Grand Prize Winner -N100,000, 1st Runner Up -N50,000 and 2nd Runner Up – N35,000. Great to know many Nigerians are using POS machines for their transactions. Though, it’s fraught with its challenges, it is a safer payment platform with minimal risk. 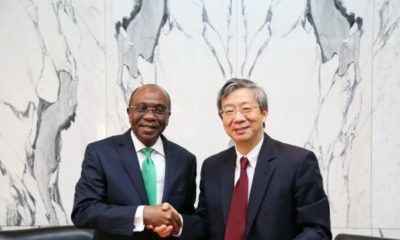 The CBN must co.tinue to educate the public to boost the confidence of card holders and work with the telecoms industry for better connectivity for merchants.